WE’VE been away this week and as always I ended up packing way more than we needed for Santi and Ezra – just a small bag for my clothes, and a suitcase between them for all theirs! We dressed Santi in this outfit for a little visit to Cardiff Museum, and I think it’s super cute. 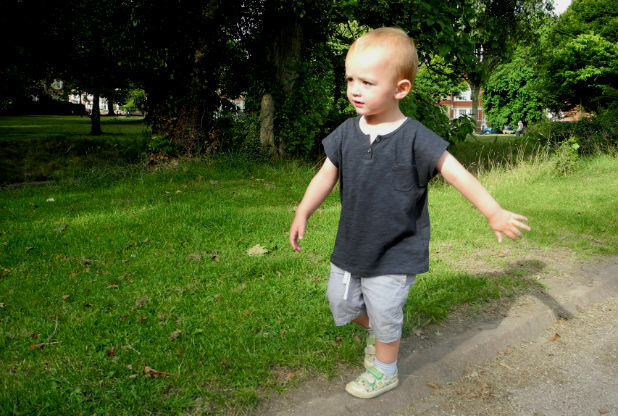 The grey tee is one I bought in Santi’s big summer shop, and it’s quite a grown up fit compared to most toddlers’ tops. I love grey, and this is a nice dark colour that goes with loads. The shorts were a birthday gift from a friend and are from H&M. I really like them because they can be dressed up or down. The mustard hoody is from the new autumn collection at Zara (surprise surprise!). I don’t think Santi’s worn much in this colour before, but I thnk it suits him well. He loved the bear ears on the hood, and wore it up most of the time we were out. For the museum he wore his new Toms shoes, but they’re a bit big so it was back to his Clarks teepee print trainers for a walk in the park later on. 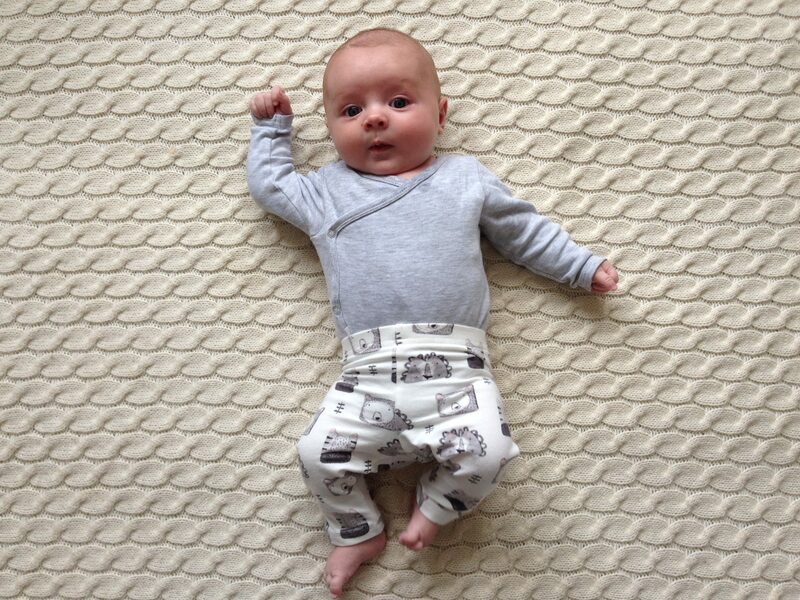 Ezra’s outfit this week also features some bears. His vest is from H&M, and the wrapover design makes it a little bit fiddly to do up but I like the detail. 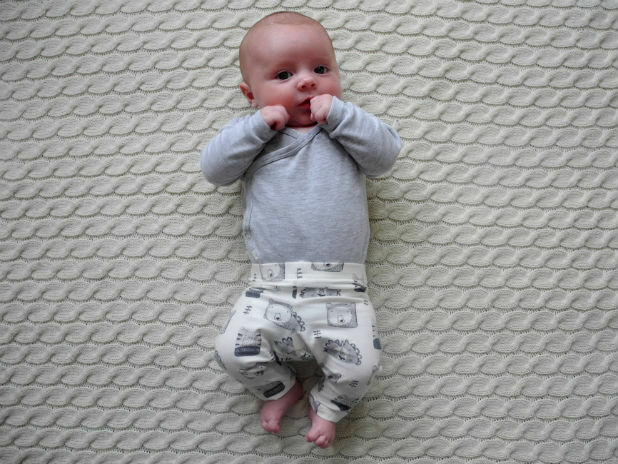 I love these little leggings, which have grey bears, zebras and lions all over. They’re actually from the girls’ section at Next because they have a tiny bit of pink on, which I think is a bit daft, but I generally check out both boys’ and girls’ ranges as a lot of things are actually unisex. The leggings come in a pack of two – the other pair are dark grey and have a bear on one knee and a zebra on the other. What do you think of this week’s outfits? Do you stick with boys’ or girls’ clothes when dressing your children, or do you mix it up? Love the leggings. I try to mix it up but every time I put blue on my daughter someone thinks she’s a boy!! It’s ridiculous how much colours are supposed to define genders. I have 2 boys and always stick with boys stuff. My eldest wont wear anything remotely to do with girls ha ha. I love the yellow hoodie its so cute with the little ears. they look great! Love the ears on the hoody! 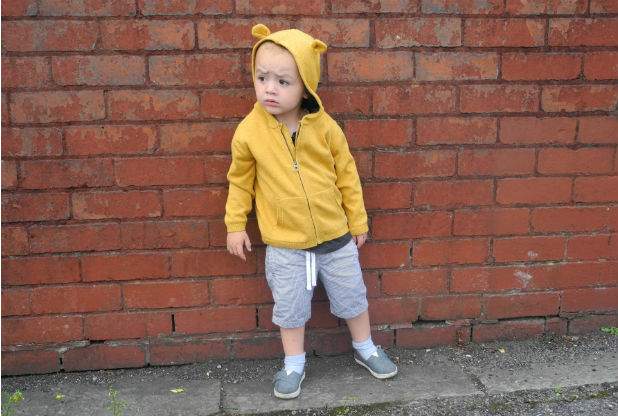 I absolutly adore the hooded top!My nephew has one very similar and I’m dreading when he outgrows it as he look so cute! I’m the same! I always pack a fraction of the amount I pack for my toddler, for myself. It’s ridiculous! 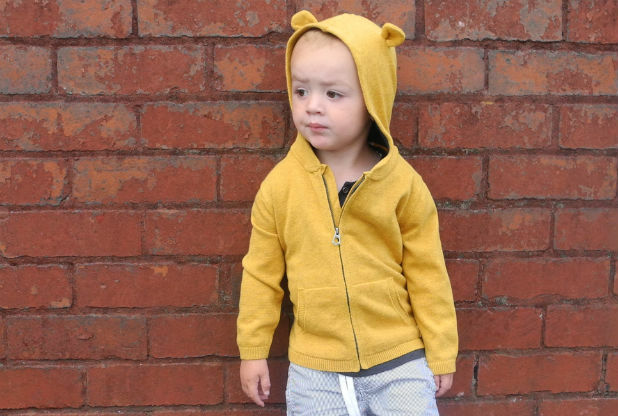 I am loving the Mustard Zara cardi – those little ears are adorable. I’m also a huge fan of the wrapover vests from H&M – they look great. The Next leggings are a perfect pairing 🙂 Thanks for linking up with #weekendtotstyle – hope you’ve had a great weekend!